Proyecto Aldea Global-Jinotega (PAGJINO) was founded in 1992 to encourage farmers in the department of Jinotega to apply agricultural practices consistent with the responsible use of the environment. It was inspired by Aldea Global, or Global Village, in Honduras, a nongovernmental organization that received support from the IAF and numerous other international donors toward reducing poverty by diversifying food production and protecting natural resources. Over the years, both organizations conducted many exchanges in an effort to improve their agricultural programs. In 1996, PAGJINO became legally incorporated as a civil society organization and received its first IAF grant in the amount of $87,500 to be disbursed over one year. It used the funds to assist farmers with planting trees for fruit and wood, rehabilitating irrigation systems, purchasing metal silos and constructing compost bins and barriers to control erosion. In September 1997, the IAF awarded PAGJINO a second grant in the amount of $330,000 to be disbursed over three years so that it could continue its activities. That grant was extended for three additional years as part of an aggressive IAF strategy to help Central America communities recover from the aftermath of hurricane Mitch, which had devastated Nicaragua and Honduras in October 1998. Jinotega suffered more than most regions. Farmland and crops washed into rivers, and an entire mountainside slid into Lake Apanas, the source of drinking water for nearby communities. But even before the hurricane, farmers on small parcels were hurting. Slash-and-burn agriculture, which had been practiced for generations on the mountainsides of Jinotega, had diminished their land’s productivity as had uncontrolled erosion and the inefficient use of agrochemicals. PAGJINO would use its extended grant to help farmers correct detrimental practices and identify new crops to sell under contracts with buyers. When the project ended in December 2005, the IAF’s investment totaled $974,444, including the first grant. PAGJINO’s original commitment of $126,125 of its own resources grew to $431,974 by the end of the project. PAGJINO also mobilized resources from other donors including the Netherlands Development Organization (SNV), USAID’s Farmer-to-Farmer Program, Intermon Oxfam and Instituto de Desarrollo Rural, a Nicaraguan government agency. Environmentally-sound agricultural practices played a key role in the recovery of small farming communities affected by Hurricane Mitch, but PAGJINO realized that farmers’ efforts were directed at ensuring subsistence and not generating marketable surpluses. To break with that pattern on parcels of land five acres or less, PAGJINO devised a strategy to reduce costs and increase the value of farm production, while generating income toward the association’s self-sufficiency. 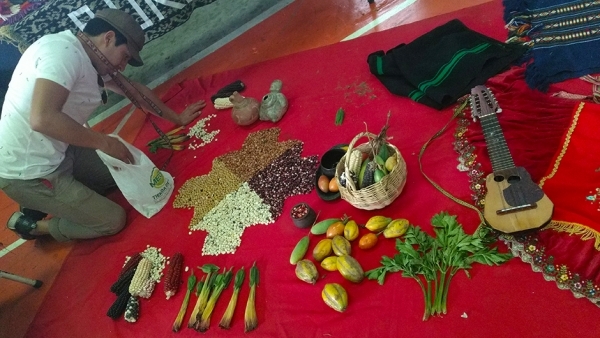 PAGJINO’s IAF-funded market analysis identified chili peppers, organic coffee, black beans and several tubers, such as yucca, dasheen and potatoes as niche crops that could boost income for the farmers while consolidating PAGJINO financially. Production of these crops during the project totaled 45 tons of chili peppers, 686 tons of organic and specialty coffee, 799 tons of black beans and 109 tons of tubers. While PAGJINO was successful in exporting coffee, it could not market other crops abroad because of unfavorable trade terms, a Costa Rican ban on Nicaraguan black beans and a legal dispute with the agent exporting chili peppers. PAGJINO delegated the marketing aspect of tubers to a specialized exporting enterprise because of PAGJINO’s limited experience marketing tubers and, more importantly, because fair trade practices did not include tubers, which made them more difficult to market. PAGJINO invested 46 percent of its IAF resources in coffee production and by 2012 was exporting 60 containers, or 1,138.5 tons, to 13 clients in seven countries, putting the organization 18th in the ranks of Nicaragua’s 84 largest coffee exporters. A credit fund to assist victims of Hurricane Mitch worked better than expected. Almost 300 farmers received some 3,100 loans, averaging $155 each, to help purchase agricultural inputs or diversify and experiment with niche crops. PAGJINO extended $162,000 in loans over the course of the project. By 2012, PAGJINO was awarding $1.5 million in loans annually and the delinquency rate was under 4 percent. The value of loans extended is expected to reach $1.7 million in 2013. PAGJINO began to apply strict commercial-banking practices to its loan program that had previously operated with no rules and little oversight. Borrowers provided collateral and interest rates were calculated to cover costs. The goal to make the credit fund competitive and profitable was accomplished with assistance from SNV and the Farmer-to-Farmer Program. Today, for every dollar PAGJINO contributes to the credit fund, other institutions, such as Oikocredit, one of the largest donors to microfinance worldwide, invest $1.60. 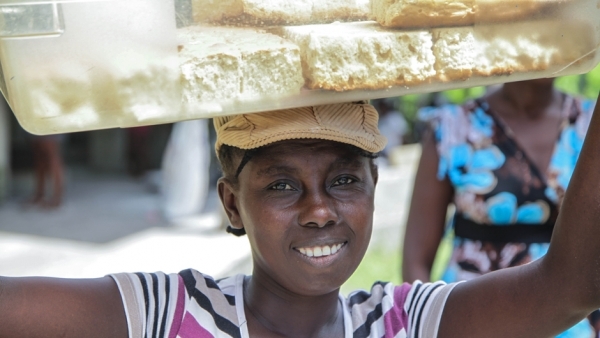 Increased income resulting from the sale of organic and specialty coffee has allowed producers to improve their housing, access to education and recreational opportunities. Specialty coffee sometimes sold for $73 above market for a 100-pound bag. In 2011 and 2012, PAGJINO sold 578 tons at $35 above market, netting an additional $114,468 on sales of $2.8 million. Access to credit and earnings from coffee and other niche crops enabled producers to acquire more assets. Ramiro Cruz from the community of Las Mercedes, for example, invested $3,800 of his discretionary income in land and $2,000 in a wet-mill facility. Angel Castillo, who joined PAGJINO as a former day laborer with no coffee plants, acquired two manzanas, or 3.4 acres, of coffee and hired two farmhands. The knowledge and skills acquired during training resulted in opportunities for PAGJINO members. Training in soil and water conservation enabled Isidro González, who had not been a farmer, to farm his own land and provide services to other farmers. Over the last two decades, PAGJINO has evolved from a base group to an organization that undertook projects on behalf of base groups to a true farmer association. Support from the IAF and other donors allowed PAGJINO to experiment with crops and strategies to reduce costs and increase the value of production while creating a marketing center and business center offering loans. In 1997, PAGJINO’s staff consisted of five permanent employees and eight volunteers; by 2012, it had grown to 30 permanent employees, positioning PAGJINO as a major coffee exporter. Its bargaining power, networking and negotiation skills have translated into uninterrupted growth in the volume of coffee exported. The project has had a significant impact on the communities that PAGJINO serves. Prices paid to coffee farmers by PAGJINO have put pressure on other buyers to offer equivalent prices, which has resulted in increased revenue even for farmers who are not affiliated with PAGJINO. The fair-trade premium for organic coffee has been invested in education, healthcare and church construction. During the 2011-2012 harvest season, PAGJINO’s board of directors approved 12 fellowships, 24 subsidies for the purchase of medicine, the transport of five people to healthcare facilities and 10 donations to defray the cost of funerals. As part of its efforts to develop a broad range of skills, PAGJINO assisted communities with organizing Comités de Desarrollo Solidario (CODES) and trained individuals to represent the community before government and business. The community of Santa Carmela now has a school, a health center and all-weather roads thanks to the efforts of organized farmers. Santos González, one of PAGJINO’s rural development workers, played a key role in bringing electrical power to the community of El Gamalote. IAF-funded training enabled residents to develop and manage an ecotourism project in Datanlí’s Devil Natural Reserve, which is expected to generate income in the community of El Gobiado. In the early 2000s, one of PAGJINO’s principal goals was to develop into a business earning sufficient revenue to cover operating expenses and offer services to its members. Currently, PAGJINO generates revenues to cover 60 percent of its operating costs. With the expansion of its marketing services and profitable loan fund, its future seems promising. PAGJINO’s transition into an agribusiness started with its second IAF grant. Initially, PAGJINO undertook development projects focused on the application of sustainable practices to small-scale agriculture. To become independent of donors, however, it began offering its members the two services they wanted the most: access to credit and assistance with marketing, including research into the market for nontraditional crops, the development of a plan, the formation of a management team and coordination of marketing efforts. Over the grant period, and after, credit and marketing services have been instrumental to PAGJINO’s development, and its members benefitted both the local and export markets. What initially may have seemed like a quixotic journey resulted in success. The production and marketing of organic and specialty coffee, especially that labeled fair trade, is paying off. PAGJINO’s pre-eminence as a coffee exporter has led to better prices for its members’ coffee. Individually, they could only hope to market their crop through intermediaries offering very little. This project demonstrated that producers farming on a small scale can enter the export market, provided they are organized, determined and united. Working together in association they can pool their production, meet requirements for volume and increase their power to negotiate. Diversification into new crops carries risks but can allow farmers to weather market fluctuations. To minimize market risks, clients should be diversified as well as PAGJINO learned from the experience with the exporter of chili peppers. Marketing niche crops other than coffee for export remains a challenge. Limited experience with selecting niche crops caused some setbacks; ginger, for example, proved unsuitable. A more compelling reason for PAGJINO not to attempt to export other niche crops was the absence of the fair-trade treatment enjoyed by coffee growers. The project helped PAGJINO shift from an assitential to a business-oriented focus targeting self-sufficiency. It allowed PAGJINO to take risks, try new strategies, learn from mistakes, make new contacts and acquire experience. PAGJINO helped its members increase their income and raise their standard of living, while developing the association as a coffee exporter with a vision for sustainability.